In studio 9 of the Bavaria Movie Grounds an authentic environment for the new Mercedes-Benz Arocs was created. This included the usage of different construction materials and heavy tools. The keynote speeches of Mercedes-Benz manager Andreas Renschler and new director of Mercedes-Benz trucks, Stefan Buchner set the stage for a spectacular orchestration. Two huge bucket excavators moved to the center of the studio hall with chorographical precision and seemingly effortless grabbed the ends of a cloak with their diggers. 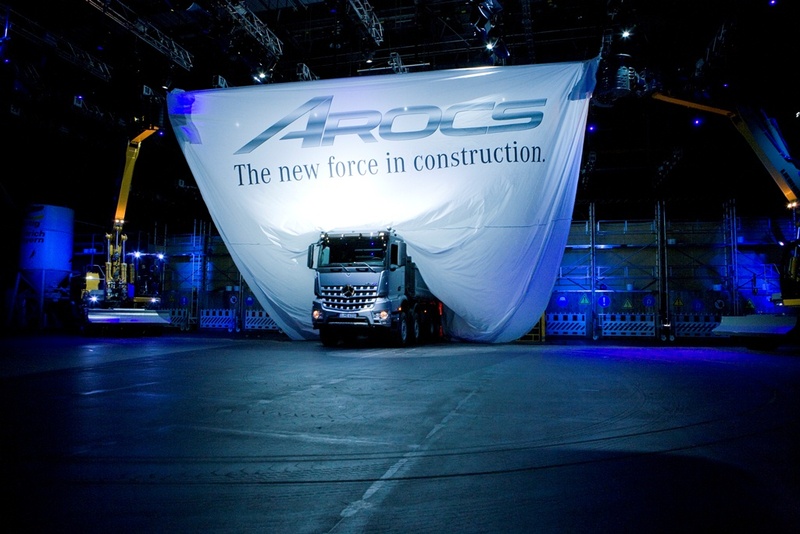 They raised it several meters revealing the new force in construction, the new Mercedes-Benz Arocs.